What is ASMR and how’s it TRIGGERED? Six seconds can go by in a flash — but that's just enough time for anyone with a smartphone to revel in 15 minutes of fame. Vine, the mobile app that lets users create six-second videos that play on a loop, has made stars out of its most popular users. They're now called "Vinelebrities," and musician Nicholas Megalis is one of them. He told TODAY's Joelle Garguilo the secret to his success is to just be your own unique self. "Be explosively different," Megalis said. He offered a behind-the-scenes look at one of his Vine sessions, which featured a 94-year-old grandma and some opera singing. The TODAY anchors got in on the fun with their own creations. 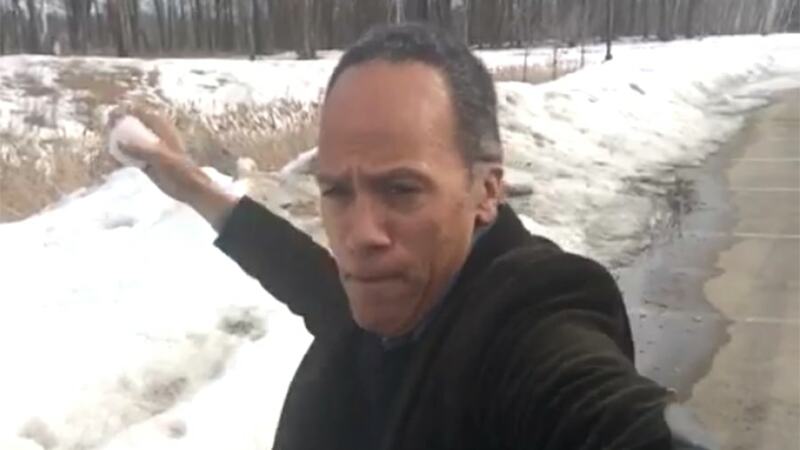 Lester Holt took a break from reporting to have a snowball fight (with himself!). His co-anchor Erica Hill found a football and an orange and had some fun tossing them around backstage. Dylan Dreyer spent a couple days on her Vine, creating a story around her search for spring. New mom Jenna Wolfe made her Vine on the beach with her daughter Harper. Harper's video was a hit with the TODAY team. "Now that one you could literally watch over and over again," Hill said.